Everyday Lux. 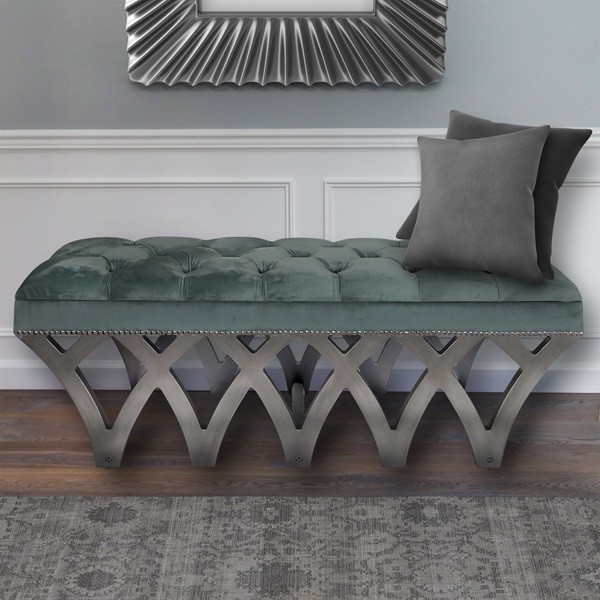 This bench is upholstered with luxurious rich velvet fabric, pewter finished legs and is tufted with pin cushion nail heads. This 10-pronged bench will add a designer touch to any room. 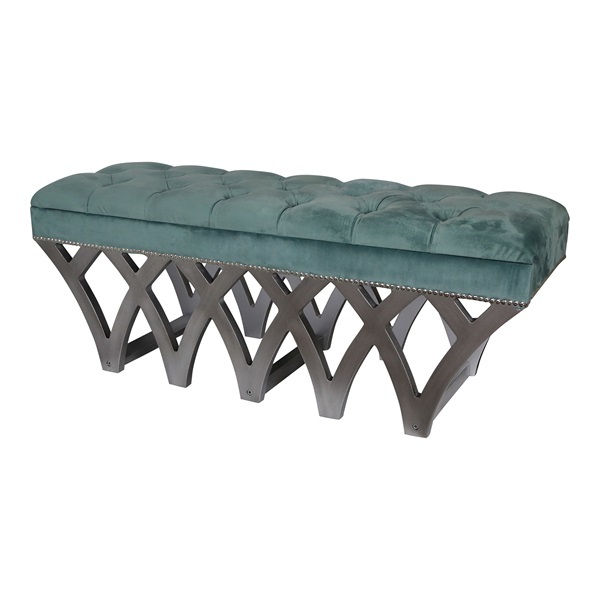 Bring shine and glamour to your home with the Glam Velveteen Bench. 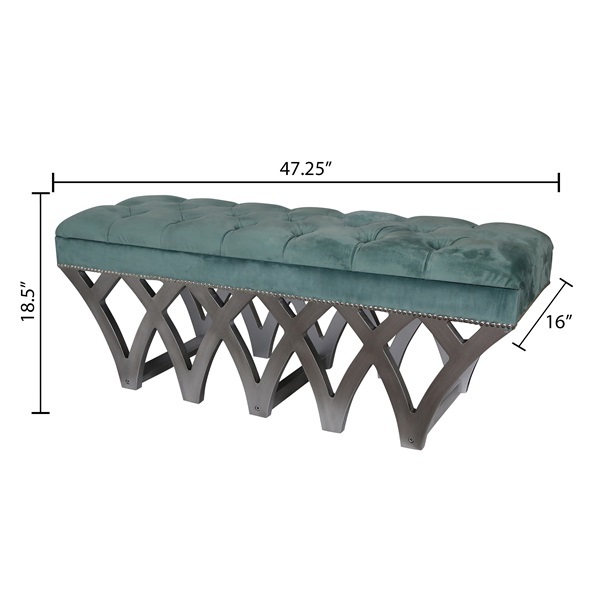 At 47"W, this bench will fit perfectly in a dining room, living room, dressing room, or reading nook. 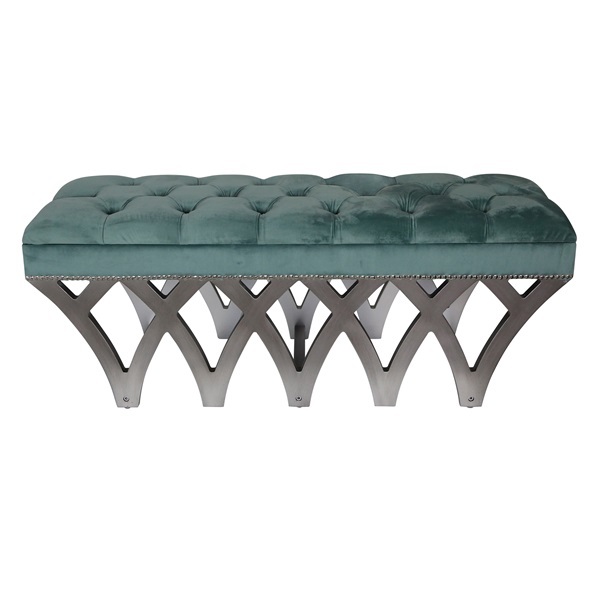 Includes 10-pronged legs and is a great seating option to your home. 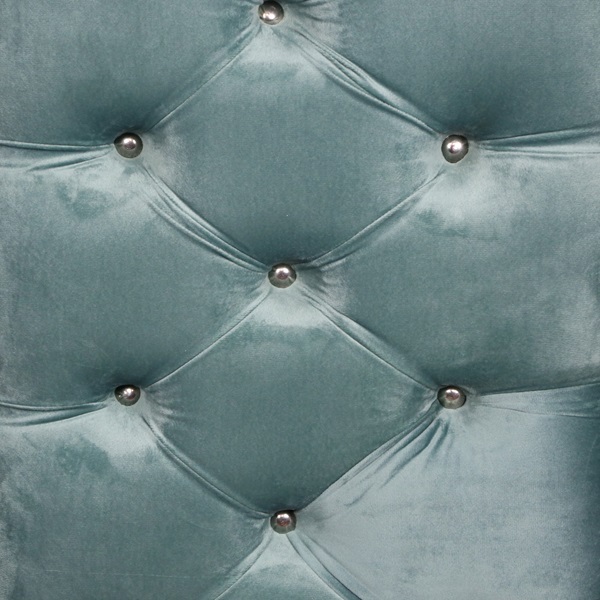 Velvet fabric and rhinestone accents add a bit of glam to your space. 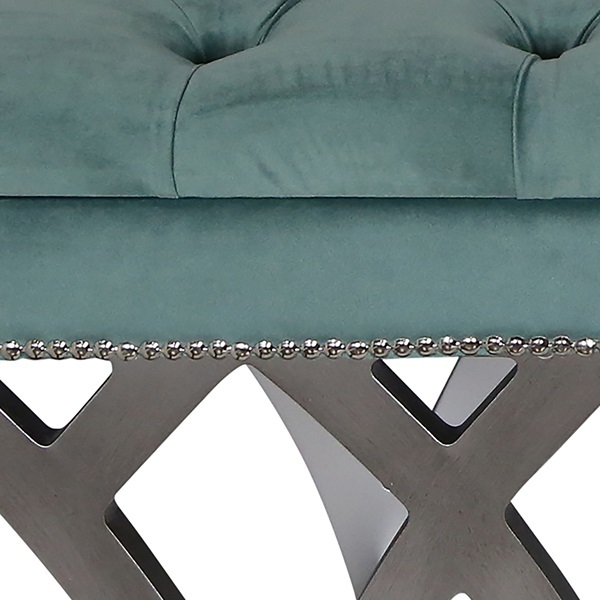 Features sturdy construction and crafted from wood, MDF, metal and fabric.